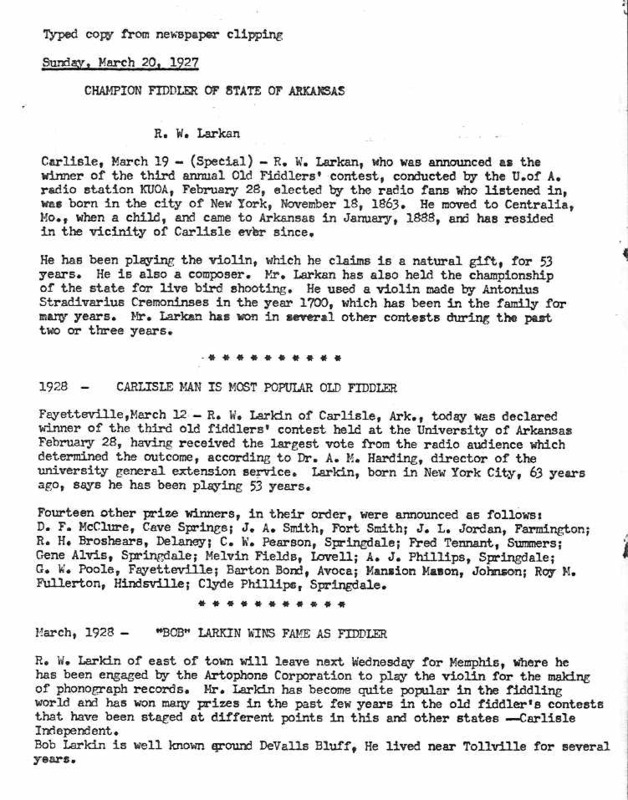 Fiddlin' Bob Larkan (1870-1942) recorded in early 1928 for the Okeh Label and then again in late 1928 for Vocalion. The Okehs incorrectly spelled his name Larkin. I have all of Fiddlin' Bob Larkan's recordings except "Paddy Won't You Drink Some Good Old Cider". 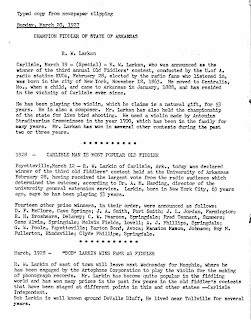 Larkin was my great-great-grandfather and I would like to have that recording. Can you help? We were able to do so. Clyde was able to provide the following information and all pictures. 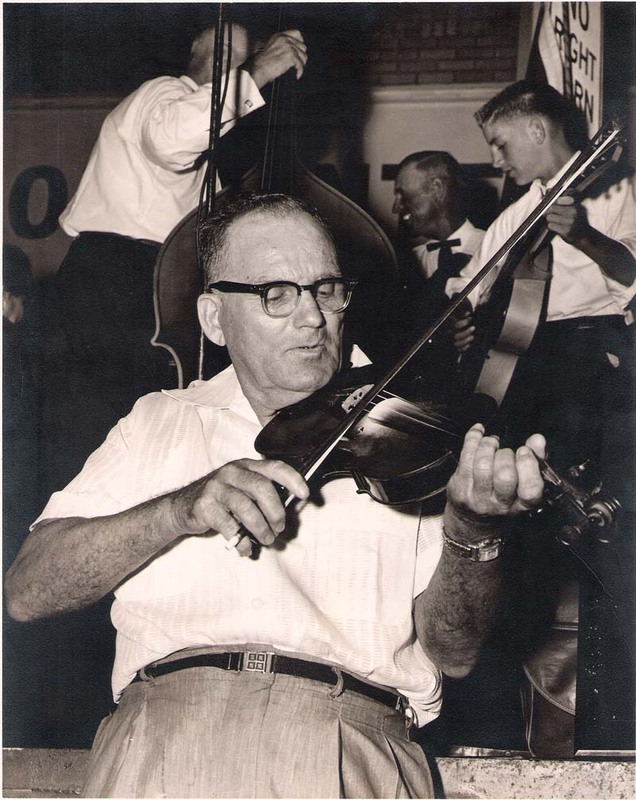 Yes, Fiddlin' Bob was born in New York City. Both his parents were born in Ireland. Bob and his wife, Harriet, had 13 children, two of whom played on his recordings, Forrest "Bob" Larkan and Alice Sherbs. I would guess the photo was made during the late 1930s. Bob Larkan was called Fiddlin' Bob and also Uncle Bob Larkan sometimes.